In a letter to the Federal Communications Commission (FCC), T-Mobile CEO John Legere vowed not to increase prices for three years if the carrier’s $26 billion merger with Sprint is approved. 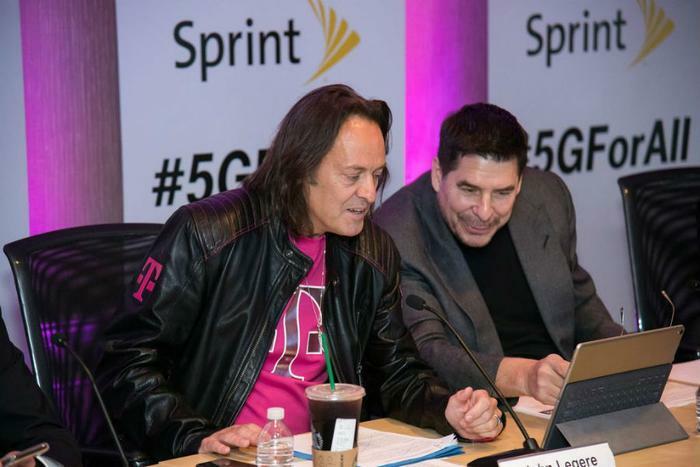 "To remove any remaining doubt or concerns about New T-Mobile’s prices while we are combining our networks over the next three years, T-Mobile today is submitting to the Commission a commitment that I stand behind – a commitment that New T-Mobile will make available the same or better rate plans for our services as those offered today by T-Mobile or Sprint," Legere said. "We believe this merger makes consumers better off, and we're willing to put our money where our mouth is. Period,” Legere added. T-Mobile and Sprint have argued that joining forces is necessary to introduce 5G services, as it will create a stronger competitor to AT&T and Verizon. However, a number of consumer groups oppose the deal, arguing that eliminating one of the four largest carriers would reduce competition, cost thousands of jobs, and lead to higher prices for consumers. Legere addressed these concerns in the letter. Last week, a pair of U.S. House panels announced that they will hold a joint hearing to discuss the proposed merger of T-Mobile and Sprint. At the hearing, which is set to take place on February 13, the House Energy and Commerce Committee and the Judiciary Committee will “examine the merger’s potential impacts on consumers, workers and the wireless industry.” The CEOs of both wireless providers will testify at the hearing. In December, the merger gained approval from U.S. national security officials. However, the deal must be approved by the FCC and DOJ before it can take place.